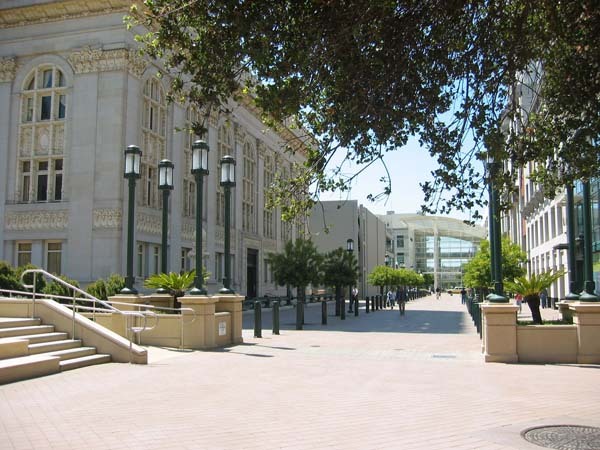 A new civic plaza for the City of Oakland to revitalize the downtown corridor. 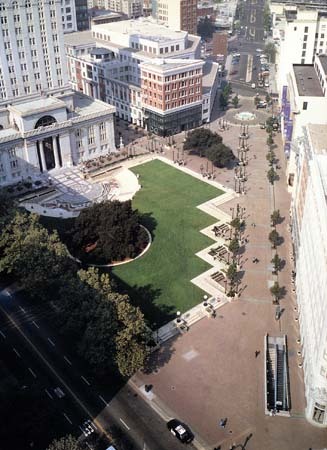 The plaza has transformed streets that once surrounded city hall into a pedestrian space and become a nexus for all civic celebrations and events and has played a key role in Downtown Oakland's redevelopment plan. 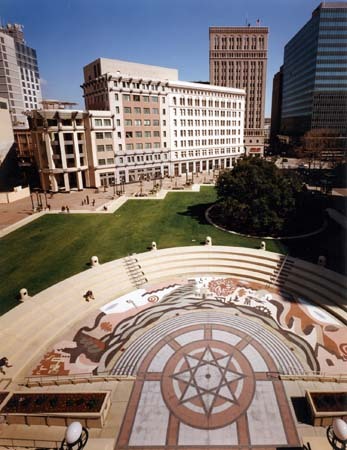 Using the Beaux Arts City Hall as inspiration, our design celebrates the historic heritage of the area and revitalizes the commercial edges of the plaza. 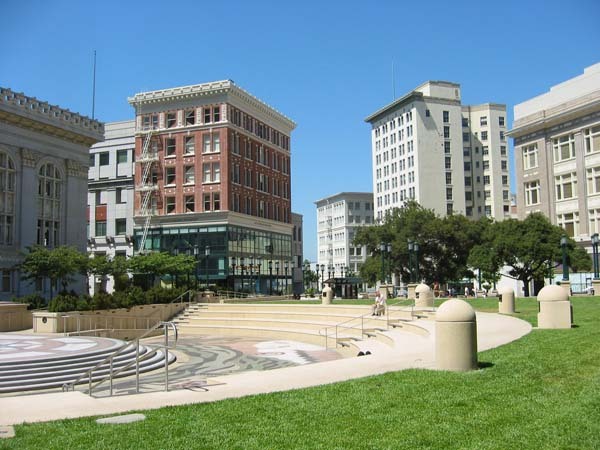 This project was immediately recognized as one of the region's most prestigious public spaces and plays a key role in Downtown Oakland's revitalization.